Home » Linné boulders paper published! 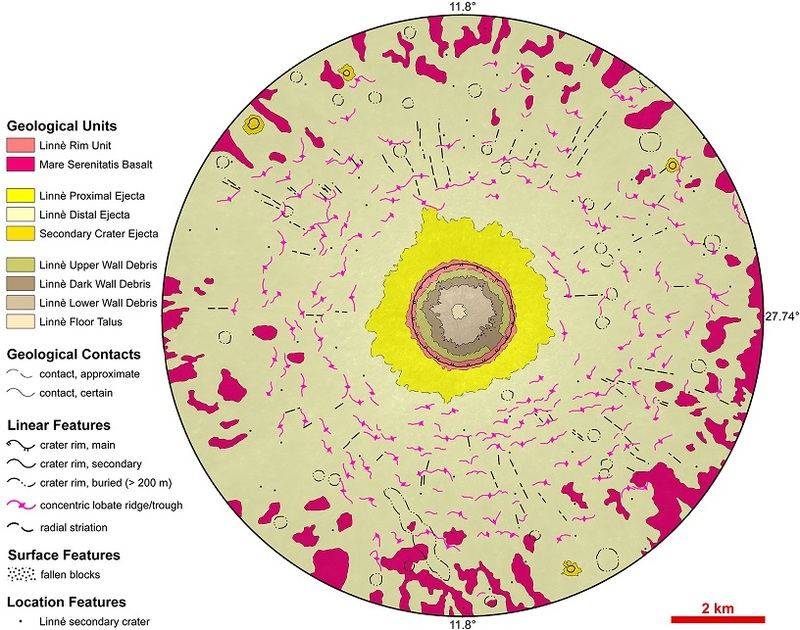 By exploiting both the geological map and the boulder surface densities, the team identified that Linné’s proximal ejecta blanket is slightly asymmetrical in the NE-SW direction. This can be either the result of an oblique impact emplacement of the original impactor, or the result of a perpendicular impact on a surface characterised by basalts with different local mechanical properties. The boulders statistics also permitted to estimate the corresponding regolith thickness of the Linné impact site (~4.75 m), supporting previously indicated values with an independent methodology. For more information, Please contact Maurizio Pajola.